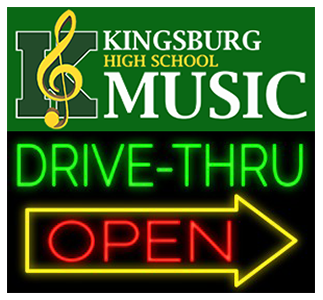 The music boosters are hosting a Drive-Thru Pulled Pork dinner on Thursday September 13th from 4:30pm-6pm. The dinners will be $10.00 and tickets will go on sale starting August 27th. The boosters need parent and student volunteers to prep and distribute the dinners for this event. If you would like to help sign-up online click here or contact us at webmaster@kingsburgmusic.org.